Episode No. 72 of The Modern Art Notes Podcast features curator Alexandra Munroe and artist Yevgeniy Fiks. Munroe co-curated the exhibition “Gutai: Splendid Playground” at the Solomon R. Guggenheim Museum in New York. (Her co-curator was Ming Tiampo.) The exhibition’s beautiful and important (but index-lacking) catalogue was published by the Guggenheim and the show’s website is rich with information, images and a 10-minute introductory video. 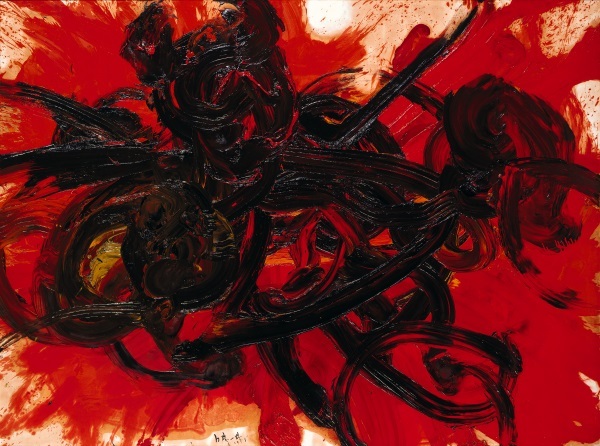 Gutai was a two-generation Japanese art movement that was active from about 1954-72. 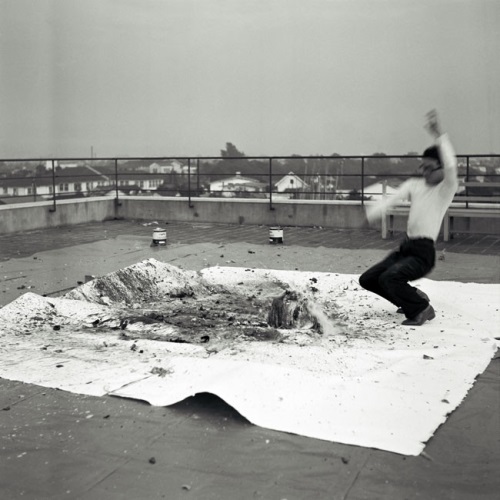 Gutai artists built upon post-war openness and explored art as a particular kind of freedom, making work that embraced performance, including audience in artworks and non-traditional materials. The Gutai artists were particularly eager to engage with international developments in art such as abstract expressionism, Fluxus, art informel and more. 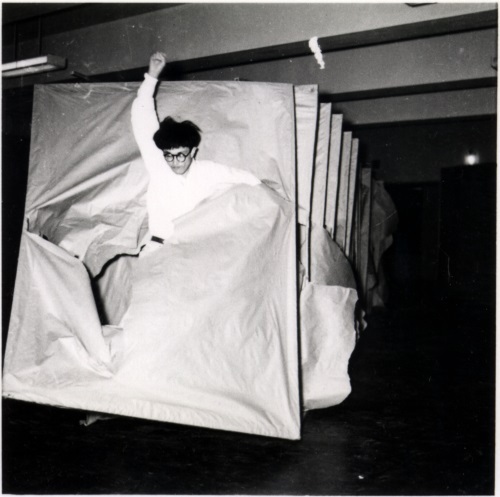 Gutai’s focus on embracing new materials and methods led affiliated artists to performative painting, exhibitions in public parks, and art that engaged electronics and light. Fifty-nine artists participated in Gutai activities; the work of 25 of them is in the Guggenheim’s exhibition. Alexandra Munroe is the senior curator of Asian art at the Guggenheim. 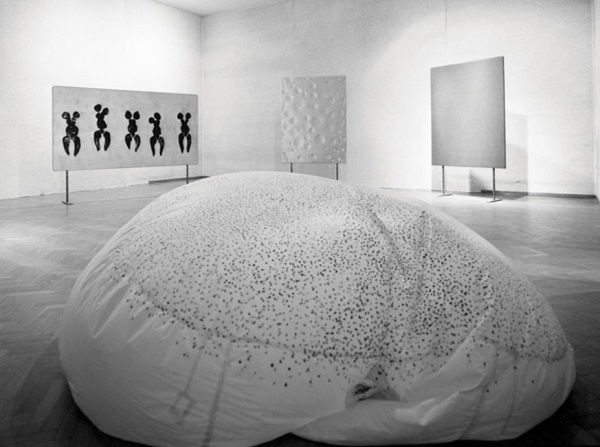 Her previous exhibitions include “Lee Ufan: Marking Infinity, “The Third Mind: American Artists Contemplate Asia 1860-1989, and “Cai Guo-Qiang: I Want to Believe” and a 1989 retrospective of Yayoi Kusama. On the second segment, artist Yevgeniy Fiks discusses his exhibition “Homosexuality is Stalin’s Atom Bomb to Destroy America” at Winkleman Gallery. Fiks’ exhibition examines the way anti-gay and anti-Communist rhetoric fed each other and overlapped during the McCarthy years. The exhibition is on view through March 23. Air date: March 21, 2013. Shiraga Kazuo, Work II, 1958. Collection of the Hyōgo Prefectural Museum of Art, Kobe. 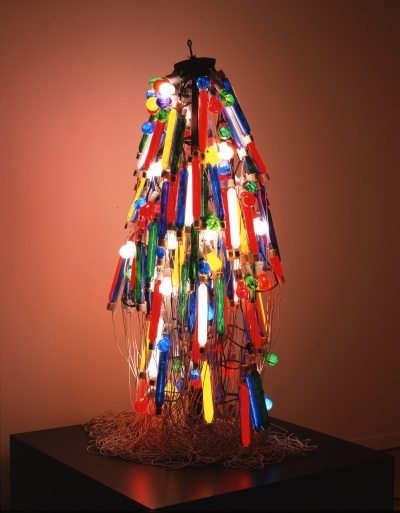 Tanaka Atsuko, Electric Dress, 1956 (refabricated 1986). Collection of the Takamatsu City Museum of Art, Japan. Yoshihara Jirō, Please Draw Freely, 1956. Murakami Saburō, Passing Through, 1956. 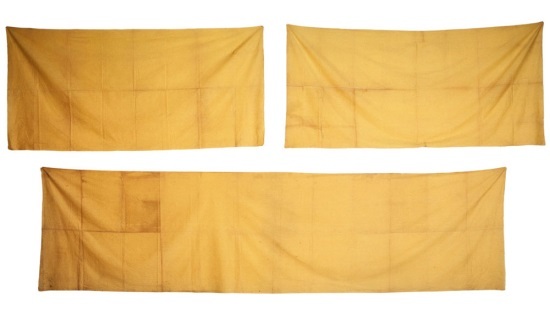 Tanaka Atsuko, Work (Yellow Cloth), 1955. 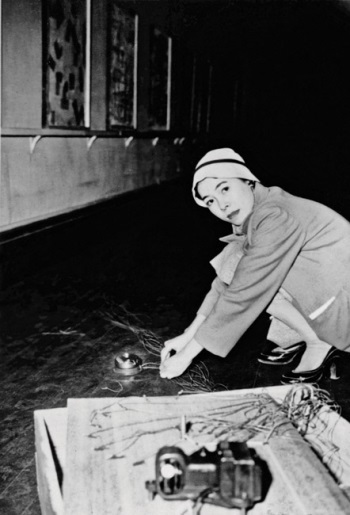 Tanaka Atsuko installing Work (Bell), 1955. 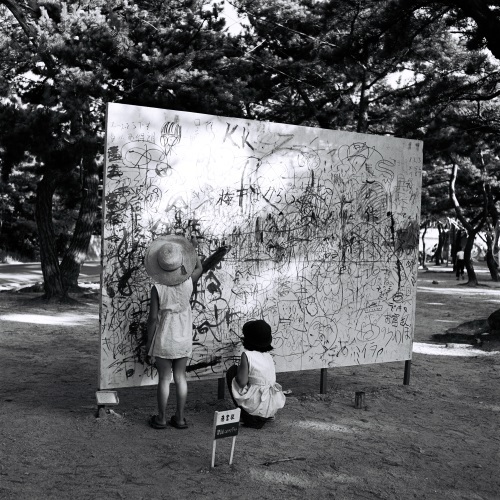 Shimamoto Shōzō making a painting by throwing glass bottles of paint against a canvas, 1956. 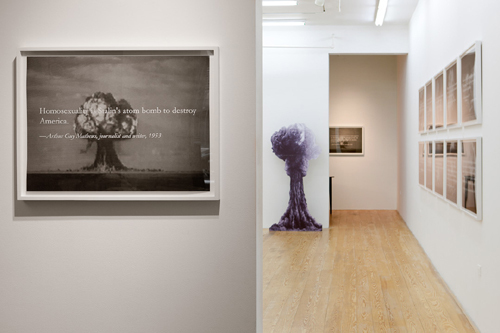 Yevgeniy Fiks, “Homosexuality is Stalin’s Atom Bomb to Destroy the United States,” installation view.